Description: Car rides by road in snow-covered forest. Footage. Rays of the morning sun. Aerial view. 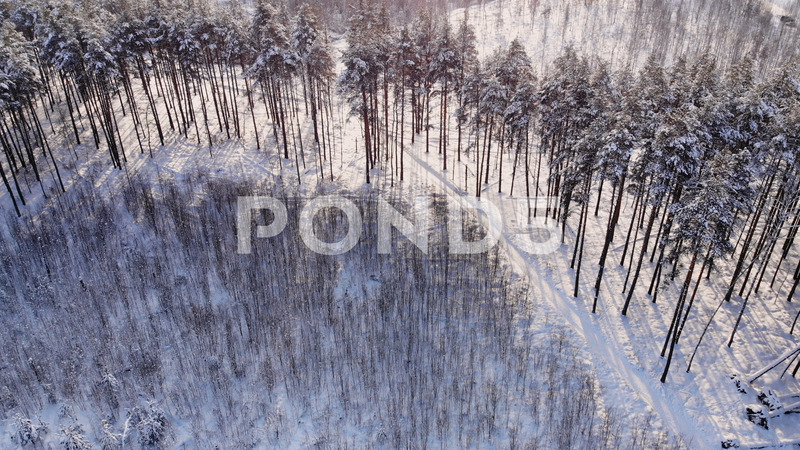 Aerial view of a snowy forest with high pines and road with a car in the winter. Top view of winter road.